One night after a fairly lethargic outing against one of the league’s weaker outfits, the Hawks came home against the hottest team in the league and wrapped up the outcome within 15 minutes. The Kings came in not allowing a first period goal in 18 games as well as not allowing more than two goals in that span. That streak is now ovah. Hossa, Versteeg and Sharp all potted goals and that was all the Hawks needed. Antii Raanta bounced back with a nice effort including a fairly sensational set of saves against Anze Kopitar while the Kings were shorthanded at the end of the second period. Once Raanta made those saves, it was quite obvious it would be the Hawks night. 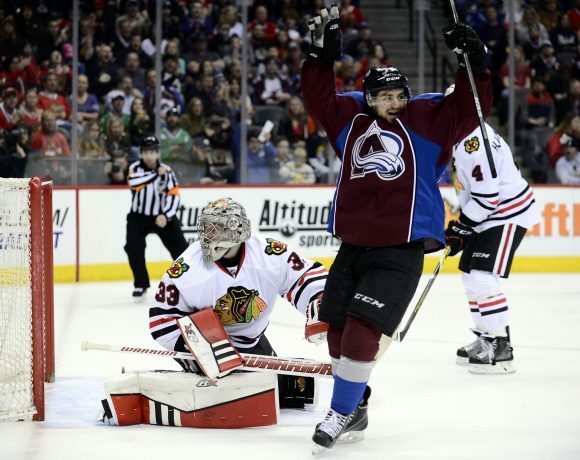 Save for an Alec Martinez shot sneaking through, it was a perfect night for Raanta and the Hawks. On to more thoughts. –Jonathan Toews was a man on fire. Whether his injured pinky finger has effected his play recently is up for debate, what is not for debate is that Toews was the best player on the ice. He set up the first goal with a dogged forecheck and delivered a gorgeous cross-ice pass to Patrick Sharp for the third goal. –Slava Voynov had a rough first period. On the Hawks first goal, Voynov got caught in between supporting his defensive partner and protecting the front of the net. In most cases, the forechecker isn’t Jonathan Toews. Not to mention, on a penalty kill, 99% of the time, his defensive partner will beat that forechecker to the puck. Nevertheless, Voynov was standing behind the net doing nothing as Hossa was celebrating. Then on the Hawks second goal, Voynov was caught in a 2-on-1 with Versteeg and Michal Handzus. 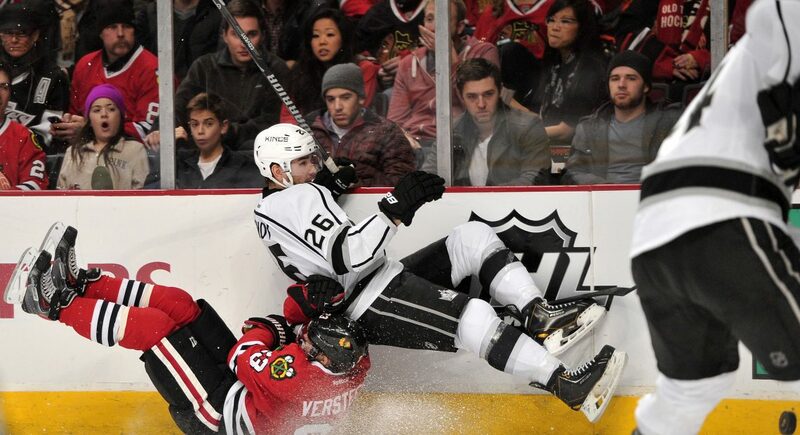 Voynov got toe-dragged by Versteeg and then the puck was in the net. It was pretty much just bad luck on both those goals because he could play both situations the exact same way in the Kings next game and neither of his decisions would end up with the puck in his team’s net. –I hardly am a proponent of Sheldon Brookbank, 3rd line winger. However, if he’s going to get 10+ minutes of ice time, I wouldn’t be as opposed to it as I would if he was only getting a shift a period. Of course, against a team of bruising plodders like the Kings the matchup is going to work much better than say, the Avalanche. –20 seconds on the penalty kill for Brandon Bollig is still 20 seconds too many. 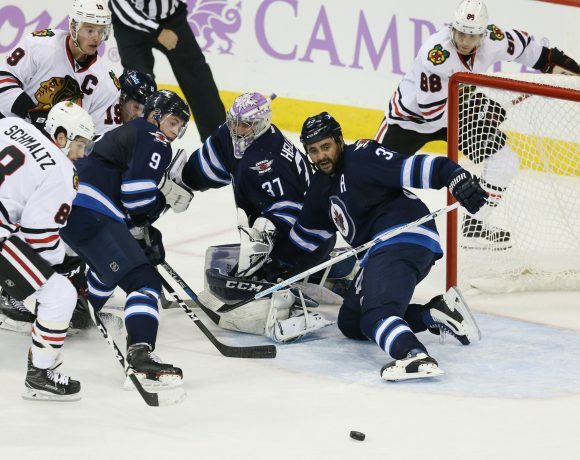 –Patrick Kane, Patrick Sharp, Jonathan Toews and Marian Hossa all contributed with 5 shots on goal each to have 20 of the Hawks 40 total shots. I’m guessing the Hawks record is phenomenal when those four guys are locked in and getting pucks to the net. –While a playoff series against the Kings hardly sounds appealing, right now, they’re still shy on scoring when matched up against the Hawks. As soon as the Hawks went up 3-0, it was hard to imagine the Kings getting the offensive push without Raanta or the Hawks defense completely wetting themselves. They will definitely be a team to watch as the deadline approaches but it’s still probably going to take more than one acquisition to turn them into an above average offensive squadron. –Did Daniel Carcillo even play?